Today was Day #5 of Chocolate and Flower Theme Week. The bright flowers adorning the package caught my eye. And the name Cocopotamus made me smile. 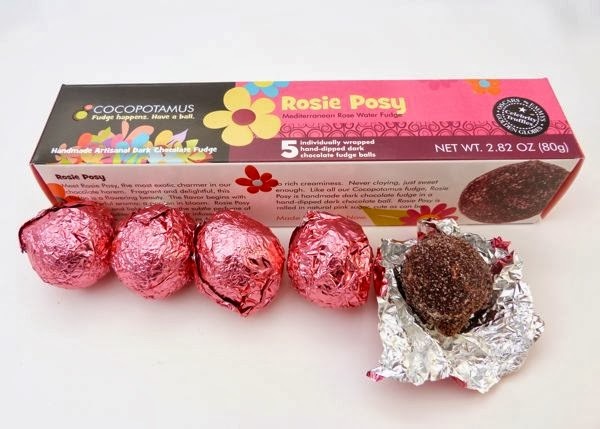 But, what sent me to the moon was the taste of a Cocopotamus Rosie Posy Fudge Truffle, from NYDC Chocolate (Albuquerque, NM). Individually wrapped in pink foil, each Mediterranean rose water infused truffle had a creamy chocolate center. 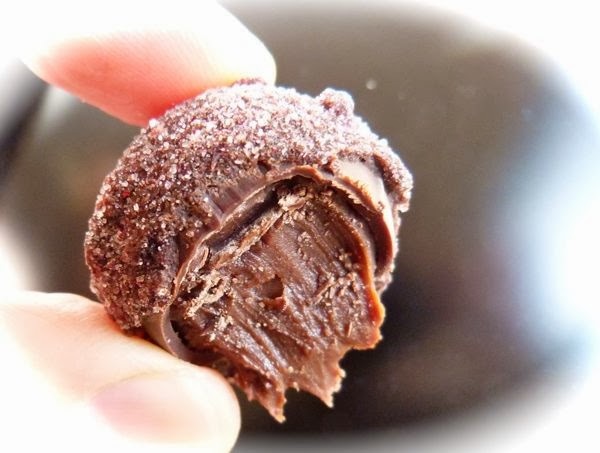 However, instead of being encased in a hard chocolate shell, the center was surrounded by a mantle of pliable chocolate fudge, and rolled in pink sugar -- creating a multi-layered texture and taste experience. 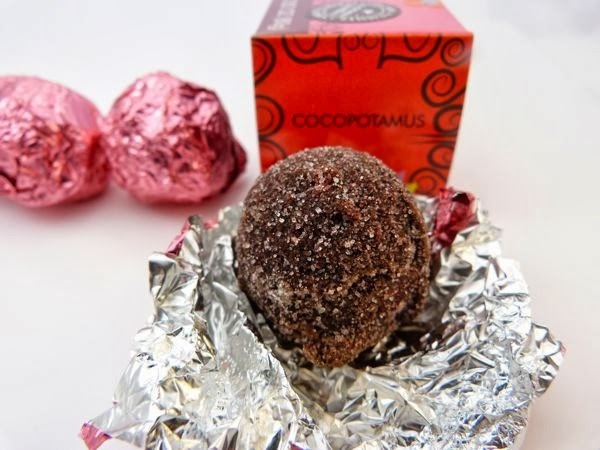 The raspberry rose-colored sugar finish provided a sugar sparkle, without the whole truffle being overly sweet. Max and Ally Sinclair have created an updated* spin on an American tradition (fudge). The personality of the Rosie Posy Fudge truffle is described as: "the most exotic charmer in our chocolate harem." If you like floral flavors, think Roses, with a capital "r," in 3D, on a chocolate rocket, coming at you, right now.